It has been 10 seasons since the Florida Panthers made the playoffs – the longest current postseason drought. The Cats’ last appearance was in the 1999-2000 season, so fans are hungry for a postseason appearance. In fact, the Panthers have not really been relevant in those 10 seasons either. It’s not as if they were vying for the eighth seed in each of the last 10 seasons. The Cats have struggled and struggled mightily. This year is different, and the Panthers have a chance to win the division. 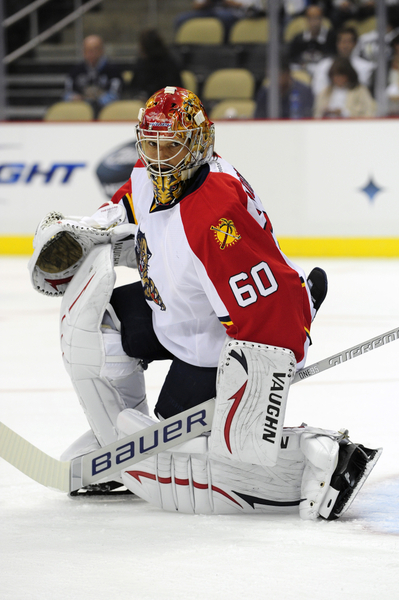 Let me repeat – the 2011-2012 Florida Panthers have a chance to win the Southeast Division. Sounds strange considering the team’s history, but it’s music to the ears of many fans. That’s the number one reason that the Southeast race is the most interesting. There is a team that hasn’t made the playoffs in 10 seasons, had a huge change in players during the offseason, and has a rookie head coach, and that team can win the division. It’s a great story for the NHL and for South Florida. The Miami-Ft. Lauderdale market is the 17th largest media market in the country, and the 13th largest media market in the NHL. Thus, a new competitor in a major media market, which is also an untraditional hockey market, makes this a great race. The Winnipeg Jets franchise hasn’t been in the playoffs for four seasons, but honestly, that’s not the right number. The real playoff drought in Winnipeg is 17 seasons. The last time the city of Winnipeg saw an NHL playoff game was the 1991-1992 season. There are definitely Jet fans that don’t even remember the old Jets, and the city is excited for their new team. Now, the Jets are in eighth place in the Eastern Conference and in line to make a much anticipated playoff appearance. What’s more, they’re only two points behind the Panthers for the Southeast Division title. The Jets are an exciting team, and the fans have come out to support them. Winnipeg is one of 14 teams that averages a sellout for every game. Although the MTS Centre is one of the smallest arenas in the NHL, the capacity of 15,004 is hit every night, and Winnipeg is back on the map as a great NHL town. After the Jets handily beat the Panthers last week, the Jet players were heard talking about how great it is to have strong fan support and play in a loud and energetic arena. This of course is new to many of these players as they used to play in a relatively empty Philips Arena in Atlanta. We see teams propelled by their fans all of the time, and the Winnipeg fans are creating a great new atmosphere for the NHL and fueling a group of players from Eastern Conference cellar dwellers to playoff hopefuls. The Washington Capitals have been an enigma this season. Alex Ovechkin is struggling in ways that we’ve never seen, the team is on its second coach of the season, and the Capitals have had uncharacteristic struggles on the road. Still, the playoffs are within reach. The Capitals have 70 points and sit just two points back of the eighth spot in the East and four points back of the Southeast Division. The Capitals are absolutely a sleeping giant, and the same can be said for Ovechkin. If both can wake up in the next 16 games, the team still has a great chance to win the division. There are reasons to believe that this could happen. Ovechkin is one of the best players in the world. Obviously, he has not been himself this season, and it has spurred a lot of discussion of his attitude and approach to hockey. Still, his talent is undeniable. If he can get himself on track in the last 16 games of the season, the Capitals will be a different team, and statistics show that this is true. Ovechkin has played in 31 games that the Capitals have won and 31 games that the Capitals have lost. In 31 wins, he has 19 goals and 17 assists for 36 points, and in 31 losses, he has 7 goals and 6 assists for 13 points. The key statistic to his play and the Capitals success may be his +/- in wins and losses. In the wins, he has a +/- of 14, and in the losses, he has a +/- of -23. If Ovechkin can commit to a complete game, the Capitals may wake up. The title of this post says that the Southeast Division race is the most interesting, and this is because of the storylines that face the top three teams. There is another reason, and that is the proximity of the top four teams in the division. The Panthers are being chased by the Jets, Capitals, and the Tampa Bay Lightning in that order, and only six points separate the four teams as the Lightning have 68 points. Only one other division is closer at the top and that is the Pacific Division with four teams within three points of each other. The Southeast will be a great race for the rest of the season. It is close and can be won by one of four teams. Each team has advantages and disadvantages and can easily rise to the occasion or falter. What makes this race is even more interesting is the real possibility that only one Southeast Division team makes the playoffs. It’s completely possible that only the winner of the division will make the postseason because the Buffalo Sabres are within two points of the eighth spot in the East and the Toronto Maple Leafs are within five points. The Southeast teams have to play as if winning the division is their only chance to make the playoffs, and this will create exciting hockey. Enjoy the race!